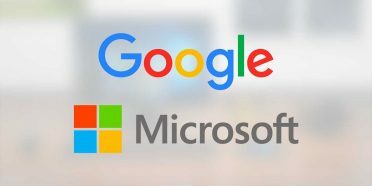 Among apps, the most popular are usually those dedicated to editing video and audio, those that have more searches and with audio editors we are going to stay. Sometimes it is not easy to find the app that most interests us in a catalog that is almost impossible to access in Windows. That is why we have developed a selection of sound editing applications, which we think are the most interesting, to help you in your search. We started with Audacity, a cross-platform open source editor (Windows, Mac and Linux) that happens to be one of the most popular alternatives among users. 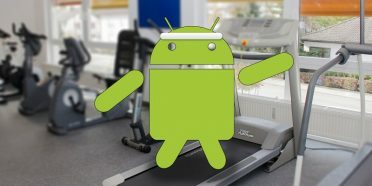 It is for the options offered that make it suitable for advanced users and especially for those who start in this world. 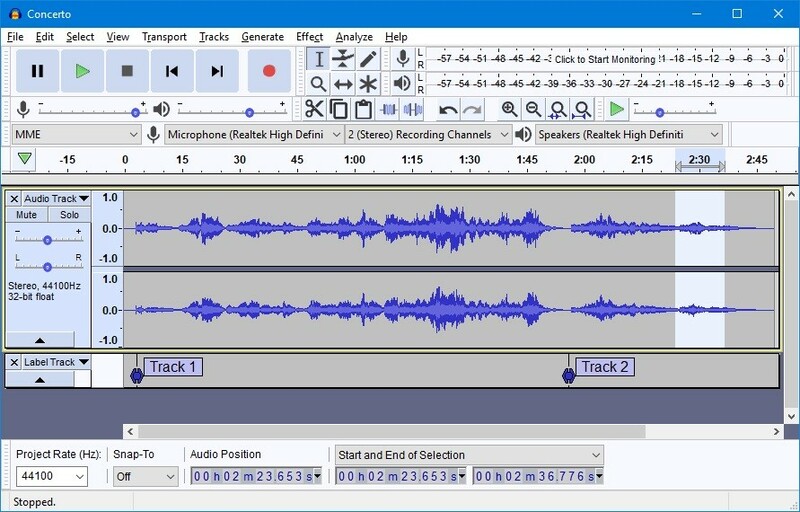 Audacity allows multi-track recording and editing with existing audios on our equipment, but also allows recording content through the microphone. The application is free and with a simple but highly useful interface, it does not offer problems for its use. 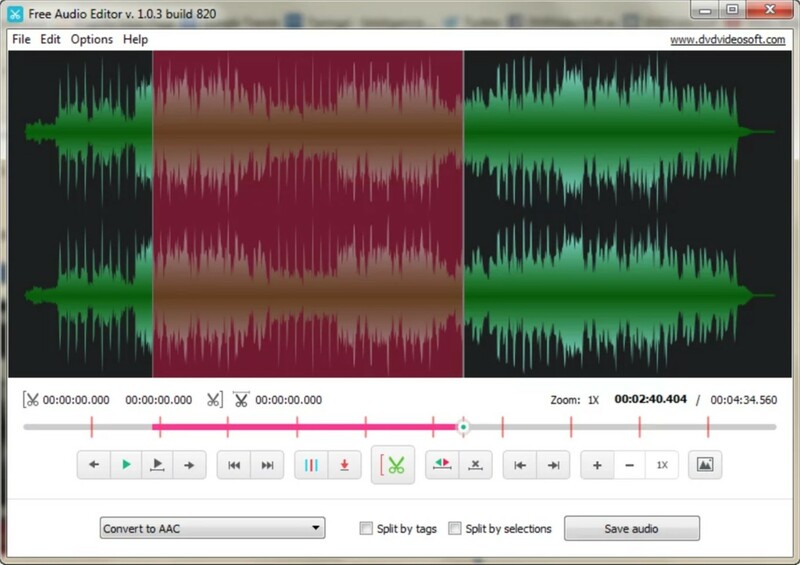 The second in the list is Free Audio Editor, an application that lets you work with audio files through a simple interface that makes good use of a waveform or spectral display. Free Audio Editor offers support for up to 25 different audio formats, among them the most popular that we can find in the market. It also has the advantage, how its own name indicates, to be completely free. 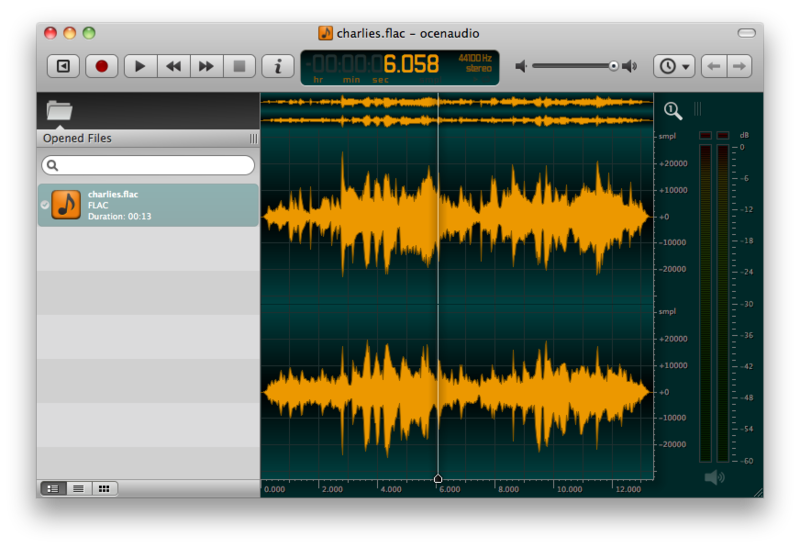 WavePad is a complete audio editor that allows you to work with files in the most popular formats. With WavePad Audio we can create and edit existing recordings (cut, copy, paste) and also add live ones through our team’s microphone. 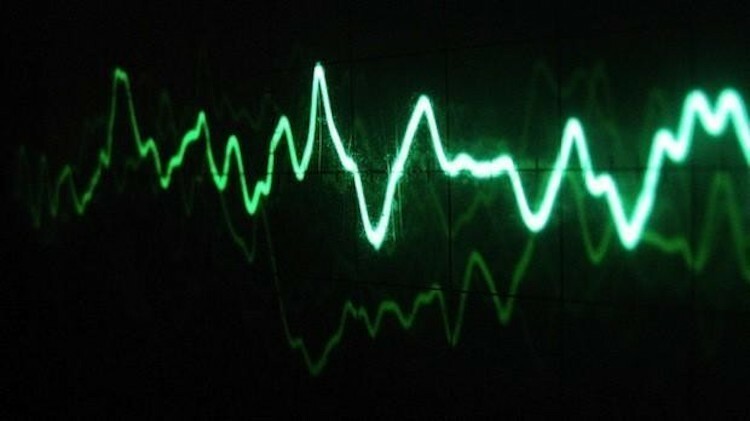 WavePad Audio has different filters and special effects that the program puts at our disposal and allows you to mix audio fragments or insert them into each other. The interface is very intuitive, totally visual. It is also completely free. 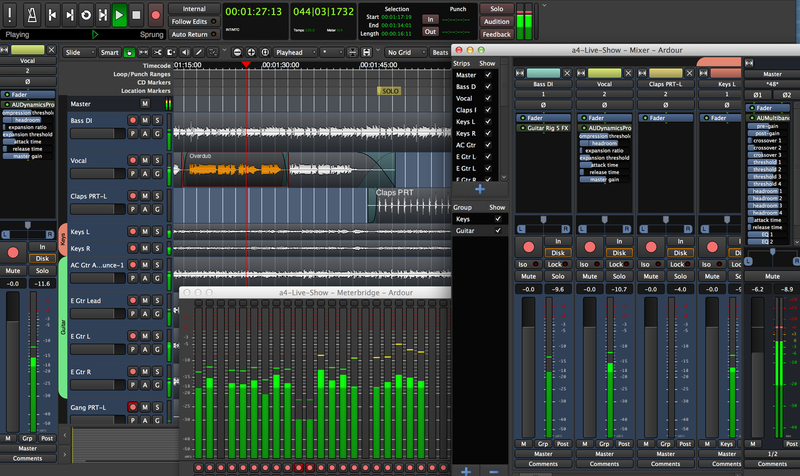 Ocenaudio is another free audio editor that comes to this list. An option that stands out especially for being ideal for those computers that have a tight hardware, since it does not consume too many resources. 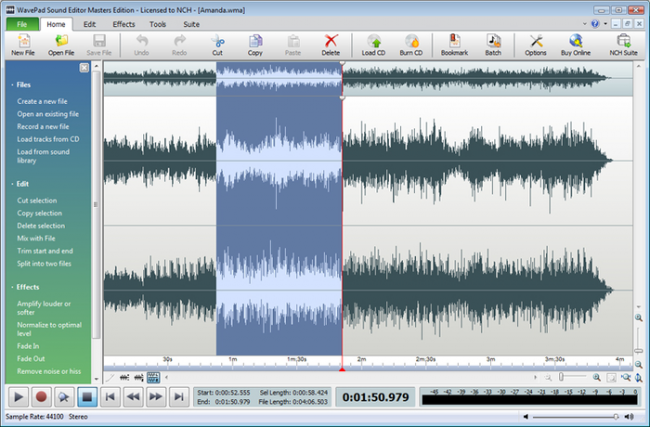 Ocenaudio is a multi-platform editor with versions for Windows, macOS and Linux that allows editing, offering the possibility of adding a large number of effects to audio recordings. One of the most powerful options that we can find is given by Adobe and is called Adobe Audition. An interesting option, alternative to Vegas for many users that allows you to record, edit and create audio content with a complete set of professional tools. 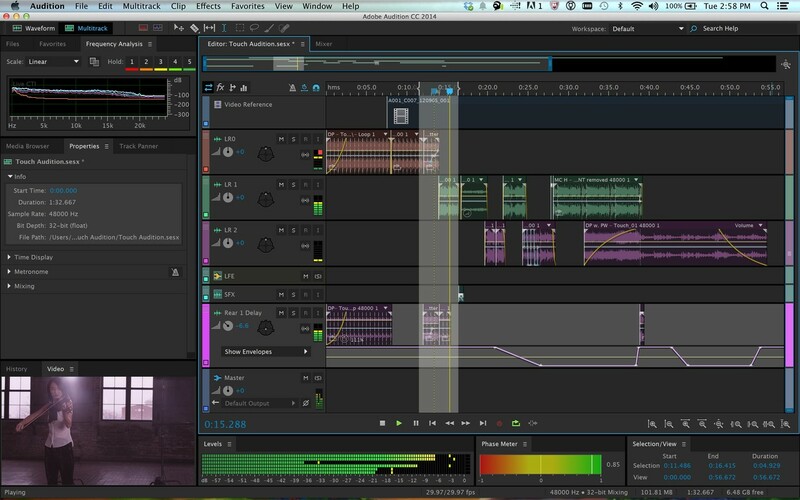 Adobe Audition CC includes functions of waveform, spectral and multi-track visualization. A program that allows us to offer the highest standards of sound quality, although if we want it we will have to “scratch” our pocket. The good news is that we can access a trial version for 15 days. One of the most powerful options is Ardor, which also stands out as another option that avoids having to go through the box to be free. Ardor allows you to record, mix and edit audio thanks to an interface that offers a large number of alternatives. Ardor offers the option to edit video in an advanced way allowing even the use of external peripherals to add and work with sound effects and all kinds of plugins. We finish this list with Radium, an application that allows the user to edit audio through an interface that, yes, requires a small learning task, because it offers some differentiating features with respect to other options. 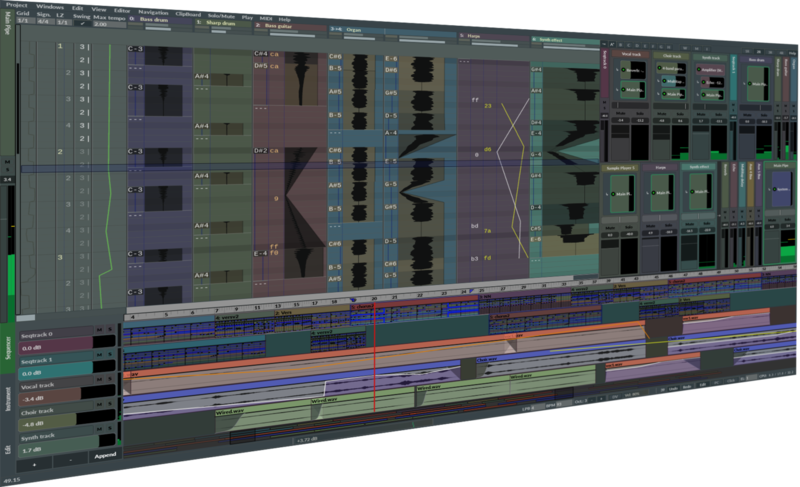 To facilitate the use Radium has small aids to automate the speed and tempo of audio tracks. It allows adding all kinds of effects and improvements in the musical edition of our archives, offering support for the most known extensions and counting in turn with support for VST, AU and LADSPA plugins.